Beer snobbery isn't our thing. While we will have ten beers on tap, not all of them will be craft beers. We will also have domestic beer offerings. We'll have something for everyone to enjoy. We are a family friendly environment. We believe this fosters amazing relationships with others. We have created a space people of all ages can enjoy. We believe in responsible parents, kids being safe, families engaging each other or, enjoying the arcade games, indoor golf and outdoor games. There is seating up top at the bar, and at the our high top tables where you can meet with your friends, catch the game, let the spouse play a round or two of golf over a pitcher of beer and let your kids be kids. Rain Or shine you can now tee it up. Our two indoor golf simulators make it so you don’t need to worry about the weather. Come by yourself or bring some friends and pick your course over a beer (or pitcher) and tee off. We have Vive Virtual Reality systems setup for your playing pleasure. Feel like rock climbing? Feel like shooting zombies at the end of the day? Then we have exactly what you need. 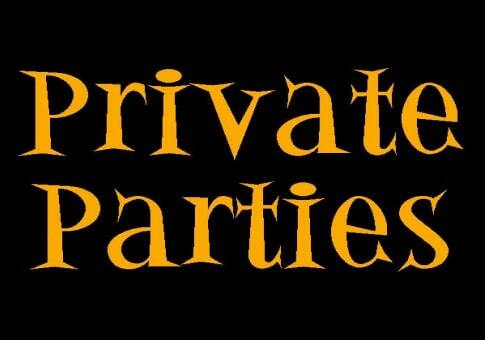 Birthday Parties, Reunions, Pre & Post Wedding Parties, Alumni Groups, Business Luncheons & Corporate Events, Graduation Parties, Holiday Parties or Any Celebration… we do it all! The Garage is committed to giving back. A portion of our proceeds will be donated to a select charity periodically. When you purchase a pint or pitcher,you will receive a token with which to decide which of two charities to donate to. One of the three charities of choice will be in conjunction with Mari’s Hella Fat Food who donates to a charity of their choice quarterly. The list of charities will rotate throughout the year. While we do have a passion for craft beer, we feel like most craft beer places often forget or ignore the domestic beer drinker. The saying goes "The best beer in the world is the open one in your hand". We truely believe that, and we wanted nothing more than to create a true family friendly environment just like it used to be a quarter of a century ago. While we do have a passion for craft beer, we feel like most craft beer places often forget or ignore the domestic beer drinker. The saying goes “The best beer in the world is the open one in your hand”. We truely believe that, and we wanted nothing more than to create a true family friendly environment just like it used to be a quarter of a century ago.